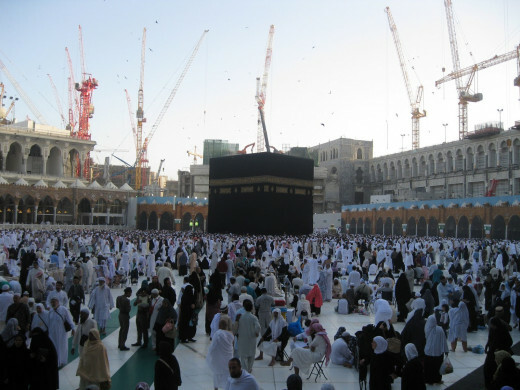 Umrah is the life-long dream for every Muslim, and going for Umrah needs to be perfect. Women are only allowed on Umrah if their Mehram is accompanying them. However, a woman has to get separated from the man who is accompanying her in the Masjid An Nabawi and Masjid Al Haram, where there are separate portions from men and women. Usually, people are a little sceptical about taking their kids, especially because at these portions where men and women are separated, the women have to take the responsibility of the children. But, taking children to Umrah does not need to be a difficult or stressful as people might think, as long as some things are remembered. 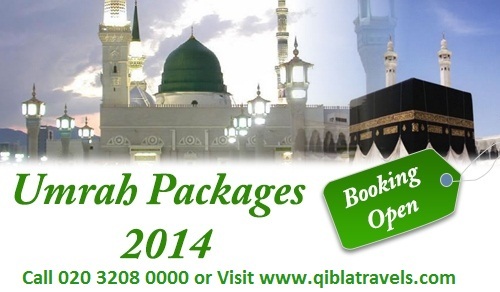 Are you planning for Umrah in 2014? It is a good idea to talk to older kids about why the trip is being taken; importance of Umrah, how there will be regular visits to the mosques unlike the regular vacations. There is no need to worry about taking smaller kids to the trip as the local people do it all the time and there are a lot of children all around. It is important to get the children vaccinated. 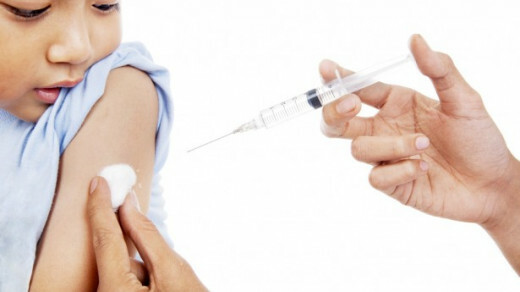 Infants, children, and even adults are compulsorily needed to get vaccination of meningitis ACWY135. Children belonging to the age group of 2-15 years need to have meningitis and polio vaccinations, while children below and above 3 months, need ‘A’ vaccine, with two shots taken at a gap of 3 months. H1N1 vaccine is also needed. How the children are dressed is quite an essential part of the travel. Western style of dressing, or dresses that may attract too much attention should be avoided. For small children, their everyday clothes should do. 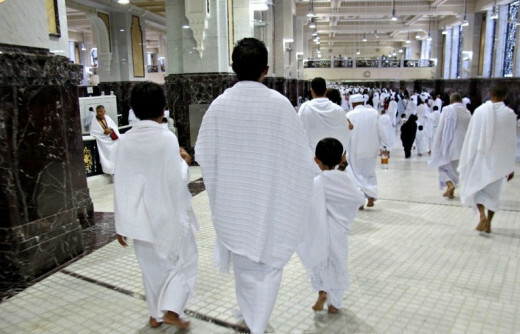 In case of children who are above 6 years old, it is best to dress them in Ihram. Little girls can be made to wear a Hijab. 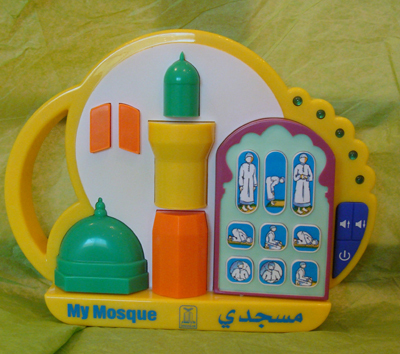 It is a good idea to take some toys to keep the young children busy during the mosque visits. However, dolls, action figures, or toys resembling life-like structures, which can be considered idols, should not be taken, as these are confiscated at the mosque gates. Electronic gadgets like video games, mobile phones, or cameras should not be given to children to play with as these are also taken away at the gates. Since these places are usually crowded, one must remember to not let the children out of sight. It is very important to keep the children close, hold their hands, and be very careful about where they are going, especially at the gates. Some people make an arrangement to enter alone, leaving the kid with the spouse and then take on the child to allow the spouse to do the same. If a person enters to pray with the kid, it is a good idea to find a place that is less crowded. In case there is an infant, one could just tie elastic rope around the child and attach it to himself/herself, to let the children enough freedom, and yet not lose him/her. Strollers are not allowed inside the mosques. However, wheelchairs are available for rent, and these can be used for seating children. People often lose their shoes at the gates, and it can be particularly difficult for children to lose their shoes, as they are more sensitive. Shoes can be taken in a bag and carried inside. 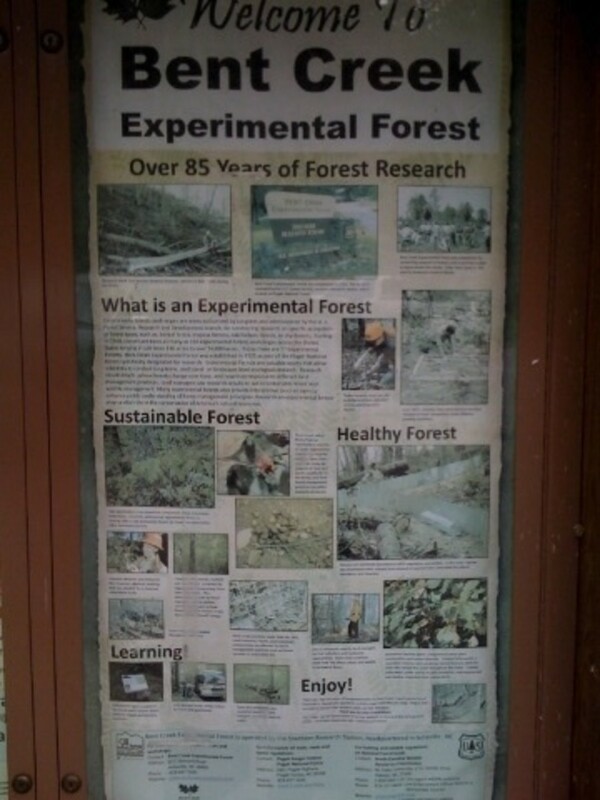 There are several activities and site-seeing that can be done during this trip. Taking these could pique the interest of the children. For example, after the Sabah prayer, they can be allowed to feed the birds. In the Masjid An Nawab, there are classes for children during Asr and Maghrib prayers. Children below the age of 6 years are allowed to sign up after the daily Asr prayers. Snacks should be brought along for the children, in case they get hungry. A small bottle should also be carried, to fill up with the zam-zam water available around the mosque. Other necessities for children must also be carried. It is important to let the children have proper rest. Resting between the prayers is a good idea for the children as well as the adults who are responsible for taking care of them. Taking children to Umrah can leave them with a great memory, and knowledge about their own culture and religion. There is no need to think that it is a stressful affair, as long as the necessary steps and tips are followed. Bronte Land, Ilkley Moors, Rombalds Moor, with Traditional Songs and Recipes. Helpful article. Good advice and well written. Thank you. The kids can sit in wheelchairs between sa'ee, it is tiring. That is good . Children Is important for future. great article .. Really i loved that. thank you for sharing.